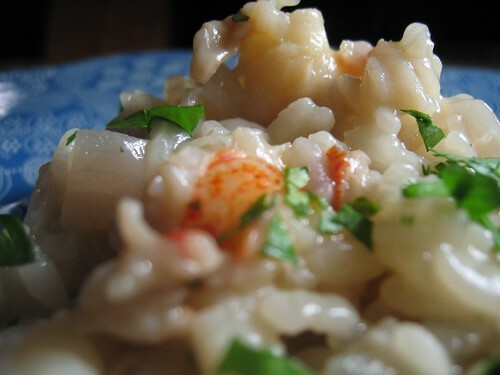 Oh, how we are dreaming of summer… but until then there is Lobster and Beer Risotto. Risotto seems like it would be a humble food. It’s big, fat morsels of creamy rice stewed lovingly over some cooktop with a wooden spoon. But because it has a high-fallutin’ Italian name, it strikes me (and a lot of other diners) as a bit fancier than a mere side dish … This is why restaurants can get away with serving you a big bowl of risotto (um, that would be rice) as your entree. Well, folks, if risotto is rice dressed up for a night on the town, my husband has just stuffed a wad of cash into its pockets and told it not to return before dawn. 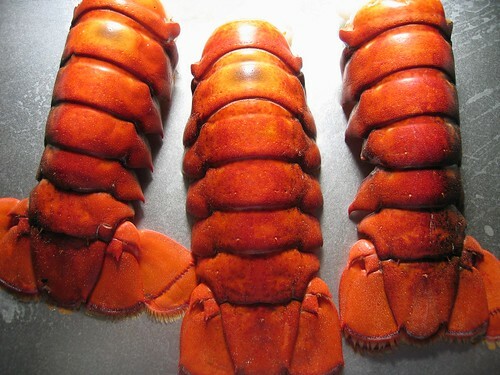 Yes, those tell-tale red morsels of succelent sweet meat resting in the mounds of creamy risotto are indeed lobster. And that creamy and delicious sauce is made up of cheese, and yes, booze. Beer, to be precise. And then there’s a dollop of honey — just for sweetness. Sound rich? Sound decadent? Sound delicious? Grab your fork… there’s no curfew tonight. 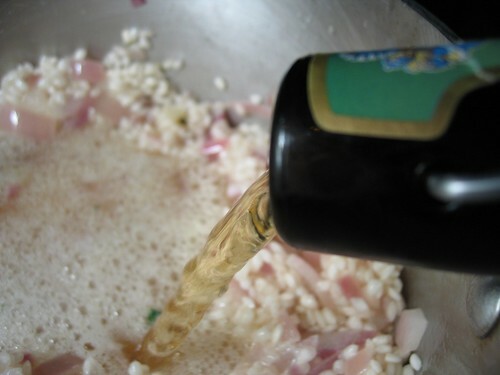 Click here to download the recipe for Lobster & Beer Risotto. Breaking News: Wife claims fennel and sausage pasta as meal of champions, Husband abuses metaphor. Pasta. It’s the food of champions, isn’t it? Or is that Wheaties? Well, then, besides chemically enhanced breakfast cereals that come in orange boxes, pasta may be one of the few fast foods that is actually good for you. (Atkins dieters please ignore this statement and resume your regular avoidance of bread and bread-like products. These are not the carbohydrates you seek.) And when my husband gets out his pasta press and opens the fridge, pasta is not only fast and delicious, it’s also fresh and healthy. I’ve noted a few favorites of mine in his pasta repertoire (artichoke and tomato, special sauce, stuffed ravioli), but I have no objections to his adding more. Hence, I can recommend his fennel and sweet sausage pasta. 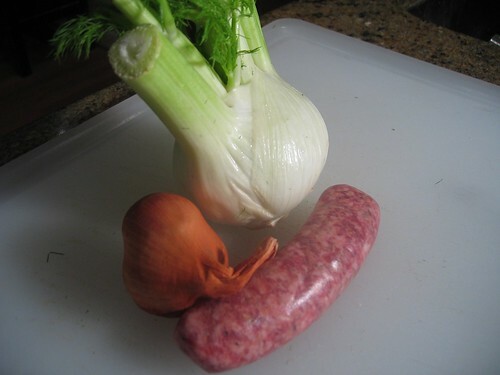 This offering makes the list because it includes the necessary healthy bit (the fennel) and adds that extra tasty bit, too (the sweet Italian sausage). 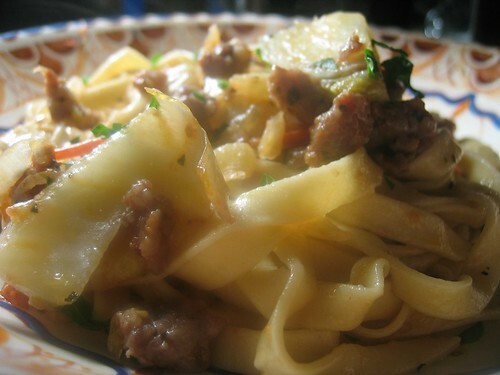 Tossed with fresh fettuccini, this concoction makes a fresh, healthy and fast dinner that was ready when I walked through the door. And that, friends, is one of the main criteria for food that I can wholeheartedly endorse. “Good food now” is my motto, you may recall. And in the spirit of Queen’s stadium anthem (and Wheaties), pasta is the champion. Risotto. 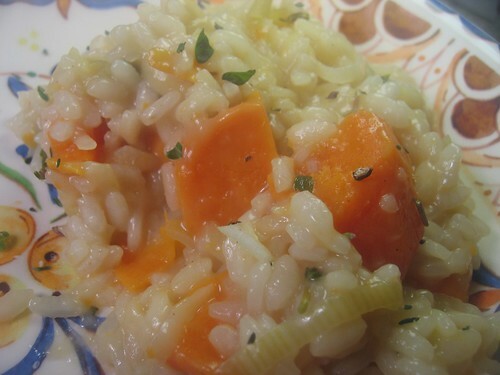 Sweet Potato Leek Risotto. Risotto. 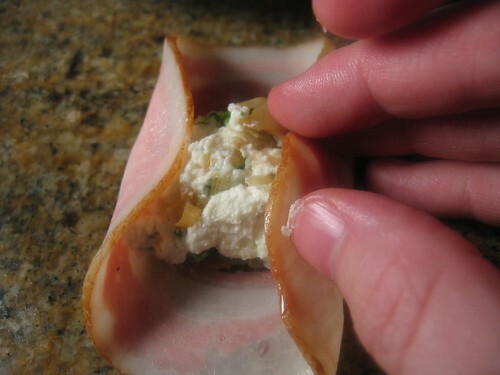 It’a a genius dish. Sometimes it’s a mere sideshow, sometimes it’s a solo act with its name in lights. Sometimes it features glamorous ingredients, such as exotic mushrooms and truffles (yes, please! ); sometimes it’s a more humble mix of rice and cheese. Whether side dish or main dish, whether with white truffles or white cheese, risotto is always delicious. 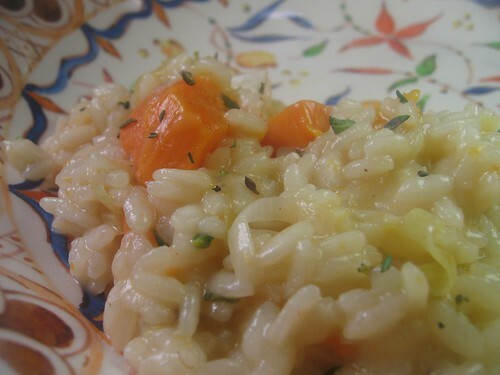 Channeling famed Italian chef Roberto Donna (more on that below), my husband has concocted his own fabulous and unique Sweet Potato and Leek Risotto. While it has not yet surpassed the place in my heart held by his delicious mushroom risotto, it is still a deadly quiver in his culinary arsenal. It might sound strange to combine sweet potatoes and leeks in a creamy rice brew — I admit that I thought so. But as usual, I was wrong. The sweet potatoes don’t war with the leeks, as I thought they would. 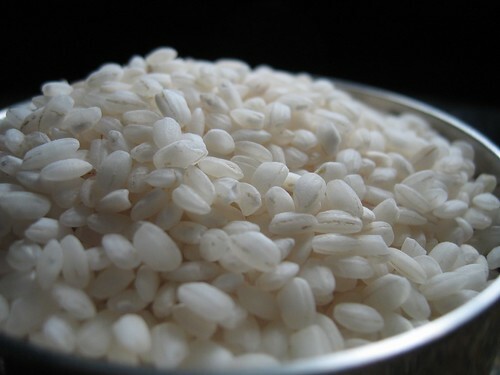 Instead, they both contribute their mild, sweet flavors to the starch party and mingle generously with the rice and other spices. The result is a colorful, delicious and sweetly flavored risotto that was a perfect side dish to the salty, savory sirloin-steak star that night. Ah, risotto. You’ve done it again. 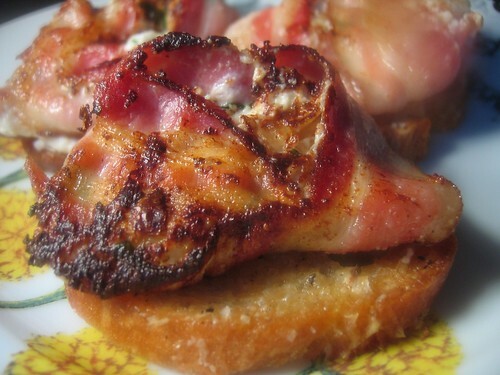 Read on for hubby’s recipe and more on Roberto Donna. You are currently browsing the archives for the Italian Cuisine category.